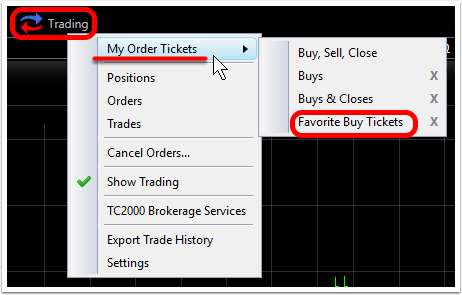 Setting up frequently used or favorite order tickets together in one window can give easy access to multiple approaches to buying, selling or closing orders. 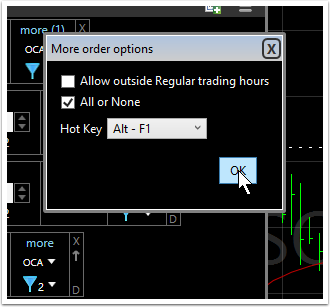 Adding hotkeys opens the door to one-click orders. Below are the steps for adding hotkeys to custom order tickets. 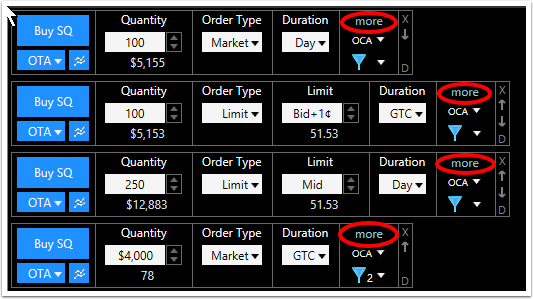 Choose the custom order ticket bar you want to work with. 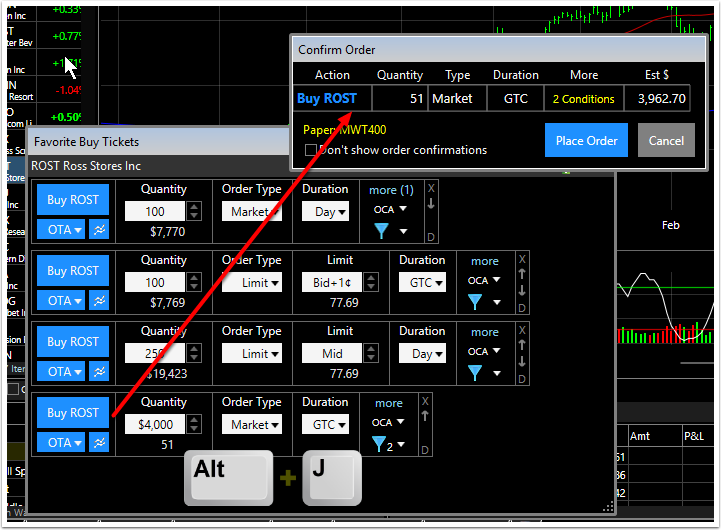 In your custom order ticket bar, click the More button on any (all) order ticket(s) you want to hot key. 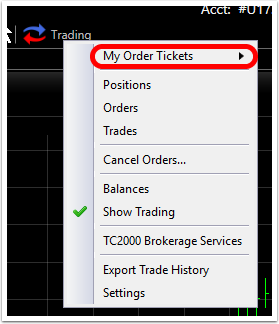 Steps for creating these custom order tickets can be found by clicking here. 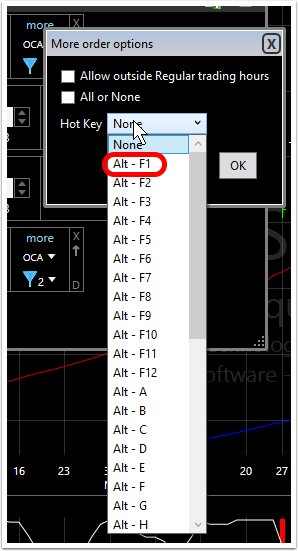 Hot key combinations can be the Alt key plus any Function key or any letter of the alphabet. Repeat the process for each of the order tickets using a separate key combination for each. 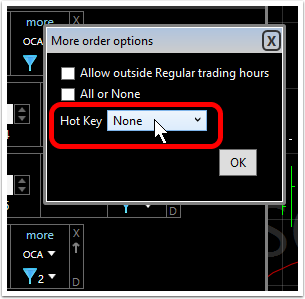 Important: the order bar in which the desired order ticket is in must be OPEN for the Hot Key to work. 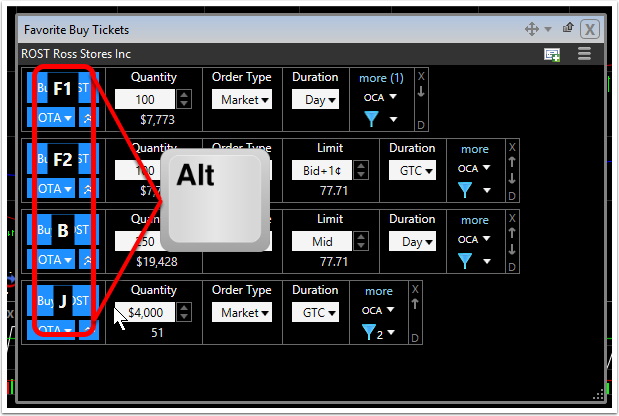 For more on setting up the order bar as part of your layout click here.